Practical. 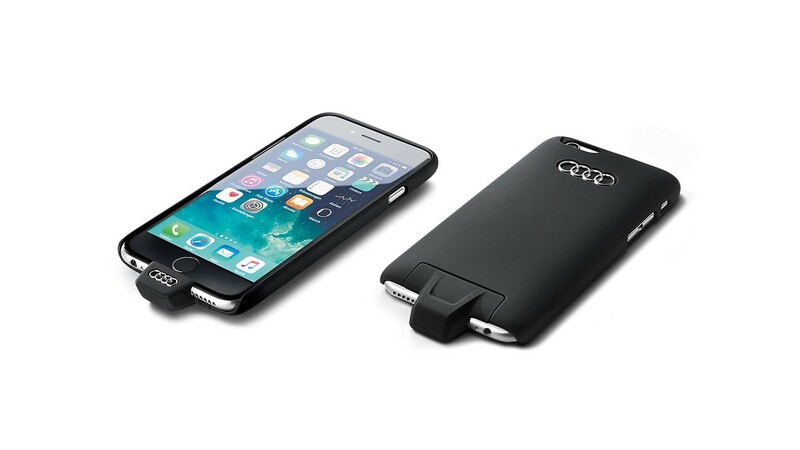 Charger casing in Audi quality protects the Apple iPhone. Attractive. Exceptional Audi design harmonised with the Apple iPhone. Convenient. No wear at the Lightning socket as nothing is inserted into the socket. Secure. Charging current minimised when temperature reaches 45 °C. Logical. A supplement for Audi phone box with wireless charging. Clever. Loudspeaker, sensors, button, headphone socket and camera are accessible. Innovative. Modern technology to charge the mobile phone battery without the use of a cable.